I WILL BE SPEAKING AT LEVERAGE CONFERENCE ON THE 14TH OF OCTOBER! Yes oh! 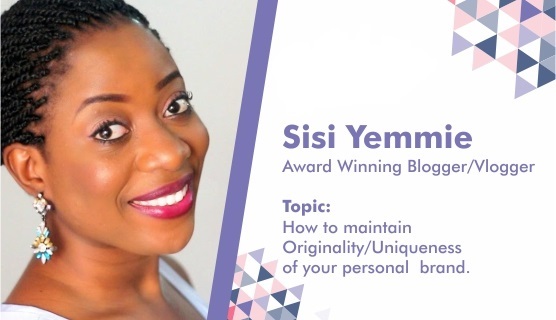 I will be at Leverage conference on the 14th of October and speaking on How To Maintain Originality/Uniqueness Of Your Personal Brand. John Obidi and Micheal Okeje will be there also! Obidi will talk about Digital Marketing (Making Yourself Visible) while Okeje will speak about How to establish and develop a brand/business. Leverage conference is a new initiative devoted to the sharing of ideas and thoughts that will further equip the minds of the 21st century Nigerians especially the youths. As the word connotes, LeverageConference will solely be a platform to show Nigerians how to take advantage of every possible resources, idea, and platform so as to build a formidable Nigeria together. The maiden edition of the Leverage conference is focused on social media and branding. It is an opportunity to discuss about the power of social media in establishing and growing personal brands. It is designed to offer young people the opportunity to discover the right approach to the use of social media for social good. All over the world, the social media is fast becoming a force to reckon with as it is a veritable tool that anyone, anywhere and anyhow can utilize to fast track the realization of their dreams.